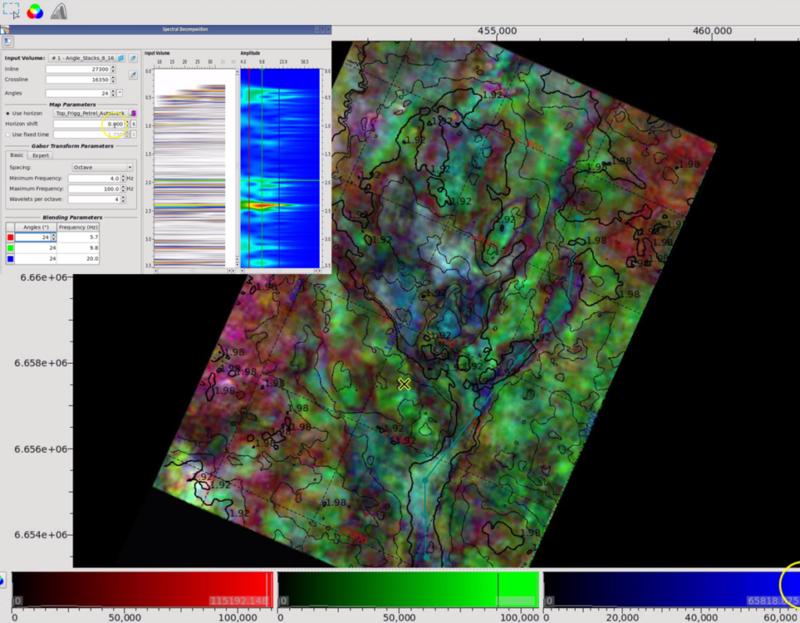 Pre-Stack Pro 5.2 features an interactive Spectral Decomposition module, with intuitive RGB blending of maps or time slices. All calculations are carried out in memory, and any parameter change is updated instantly in the viewer. Users can generate maps or frequency “gather” volumes, which contain one trace for each discrete frequency computed. The RGB blending tool can also be used to blend any seismic property (e.g. angle stacks, 4D volumes, or azimuthal datasets). The new release also includes major improvements to the 3D viewer, including a new “split-plane” display for easy volume comparison, and interactive mapping of volume properties and attributes onto any horizon, also when panning through horizon slices. In addition, Pre-Stack Pro now supports execution of user-created plugins, including complex workflows created with Fraunhofer ITWM’s ALOMA tools. Plugins can be dynamically loaded and integrated with standard Pre-Stack Pro algorithms using the Workflow Manager. Development has been generously supported by sponsors of the Foundation Project IV R&D Consortium. To find out how to join, or to inquire about obtaining a license for Pre-Stack Pro if you don’t already have one, please contact sales@sharpreflections.com.